Dogs Do Not Have to Break the Bank! - Petpav - Your Online Magazine for All Things Pet! Dogs Do Not Have to Break the Bank! If you are a dog lover and/or have never owned a dog in your life, there are so many reasons to add their lovely, fun personalities into your home. They teach you how to take care of someone else, bring you joy, compassion and another pal. I know some new dog owners worry about the costs of bringing a furry friend into your life. Well, not to worry, there are ways to save money on your new housemate. I am always an advocate of adopting a dog; there are so many dogs waiting for a new home. And you are not just saving a dog’s life, but adopting from a shelter or rescue group can be very inexpensive. If you compare adopting a dog to purchasing a new dog, your adopted dog usually has received its shots, been examined by a veterinarian and neutered. Some shelters and /or adoption agencies have the dog’s health records and life history from its previous owner which can also give you a history of any medical costs that might exist. And, above all, you have given this new dog a new lease on life. 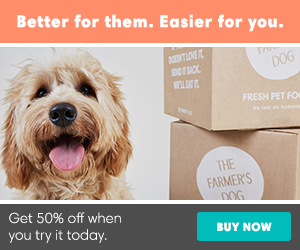 Treat a dog as you would yourself (or like me) when you buy groceries or anything that could add up. Make sure to check sales for pet items and comparison shop. You can find coupons in the mail and/or visit the big retailers such as Pet Smart or Petco to get great deals. Both Petco and Pet Smart are also on-line retailers and will send you coupons if you sign up for their newsletter. The savings really help. 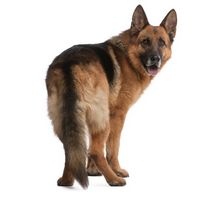 While I always recommend going for a higher brand of dog food, you don’t have to feed your dog excessively. It is not good for them and can be costly. Make sure to feed your dog according to his or her weight and activity level. If you buy your dog food in bulk, it will usually lower the costs. Even if you spend a little more money on healthy dog food, your dog will eat less of it and be more satisfied. And, of course, the healthier your dog eats, the less expensive your veterinarian bills will be and the overall health of your pup will be improved. I’m sure you’ve donated gifts, clothes or other items to Goodwill or other surplus stores in your life. Well, next time you are there, see if you can purchase toys for you dog. Even the local Salvation Army is a good place to pick up a leash or simply some fun toys for your pooch. You can also use different items around your home to fix a bed for your pup and make toys that are simple for your dog and not expensive. Most dogs are not too picky and are simply happy for your companionship. While there are many different types of pet insurance on the market, you should think ahead and purchase insurance to avoid big, unforeseen costs. You can ask your veterinarian for recommendations and/or friends with dogs. Veterinary bills can get expensive so a monthly or quarterly payment could be a great long term investment for you and your dog. Think of it as our health insurance and how much (it usually) saves us in the long term. The most important thing you can do for your dog is to provide him or her with a lot of love and companionship. Dogs are not picky and you do not need to break the bank just to bring this new furry friend to your home.